Home / family / fiat / italy / panda / Panda-monium! 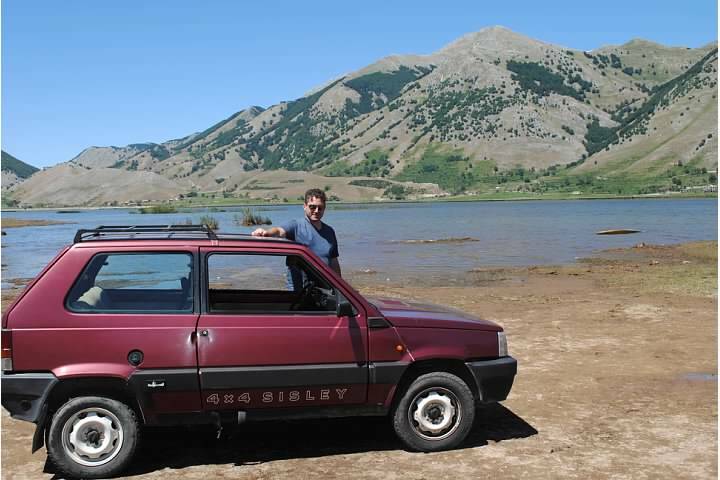 Late last night I received an excited text from my brother….. “Fiat Panda on Wheeler Dealers.” Apparently, during the season premier of Wheeler Dealers last night on Velocity the second segment featured the revamping of the quirky little Fiat Panda 4×4. 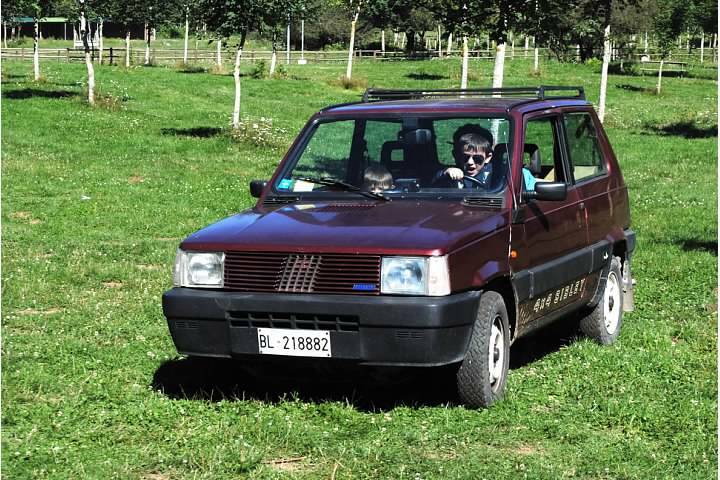 I have to believe that Most Americans have no idea what a Fiat Panda is. In fact, I’d venture to guess that there are actually more real pandas in the US (presumably all in zoos) than the tiny Fiat bearing the same name. I would have loved to have been watching the episode with some typical American gearheads when they unveiled the Panda project car. When the Fiat Panda hit the showrooms in 1980, it was compared by designer Giorgetto Guigaro to a pair of jeans – practical and simple. The Panda was a cheap, straightforward car that was easy to maintain. It was built to take on the 2CV and the Renault 4, for people who wouldn’t normally have been able to afford a car – just like Alec Issigonis did with the seminal Mini three decades before and Henry Ford did forty years before that. A European Car of the Year award in 1981 put the Panda on the map and Guigaro went a stage further in his description of the car; ‘I tried to bring into this car the spirit of military machinery, especially helicopters, that means light, rational built-for-purpose vehicles’. Since launch, Fiat has sold over 11 million Pandas. The first iteration, now known as the ‘old Panda’ survived with very few changes and in 2003 the ‘nuova Panda’ was launched, giving Fiat their second European Car of the Year award a year later. The third generation which was first seen at the Frankfurt Motor Show in September 2011 is being built at the Pomigliano d’Arco factory in Naples where the brilliant but doomed Alfa Romeo Alfasud was made in the 70s and 80s a midst the furor of corporate and government bickering. The first 4×4 Panda hit the showrooms in 1983 and they sold six and a half million of them – decent sales figures for an idea that was mooted as ‘odd’. Trying to cram a heavy 4×4 system into a supermini was always going to be a tough ask but cram it in they did and it was an instant hit. It was originally conceived to deal with Alpine snow and it does deal with it, however it isn’t a Range Rover or a Jeep. 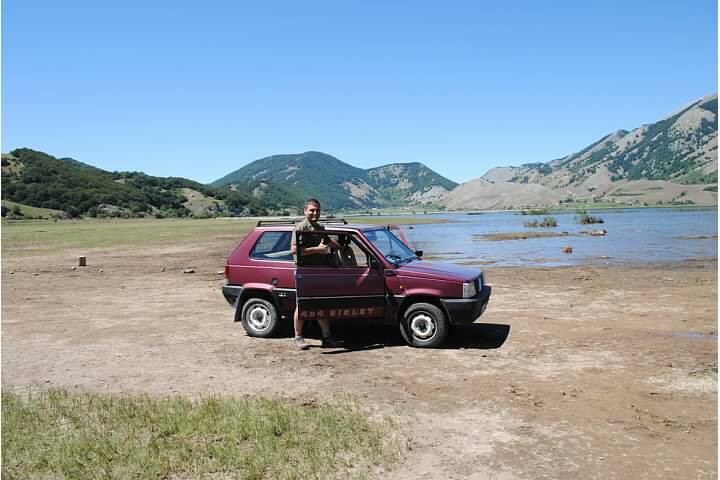 It’s a small city car with really very good off-road credentials and for what was essentially marketed originally as a small, lightweight, cheap runabout, it proved to be an accomplished city car that packed a few big surprises on difficult terrain. There’s something else about the Fiat Panda that not many other cars have, and that’s ‘lovability’. Unlike the hundreds of other cheap Euroboxes you can buy today, the Panda has the ability to warm our hearts. The original Mini does it, so does the Beetle but very few other cars do. Perhaps it’s the name – Panda – that evokes cutesy images of Ming Ming eating bamboo in London Zoo or the viral ‘sneezing panda’ clip on YouTube that has 220 million views. It may be the very fact that they were so cheap to buy, cheap to insure and cheap to fix. For Europeans, at some stage in their lives they have all had some exposure to a Panda – and this more than anything makes it one of the most recognizable cars on European streets today. So why would my brother text me to make sure I was tuning in to the ‘restoration’ of a 80’s euro econobox? 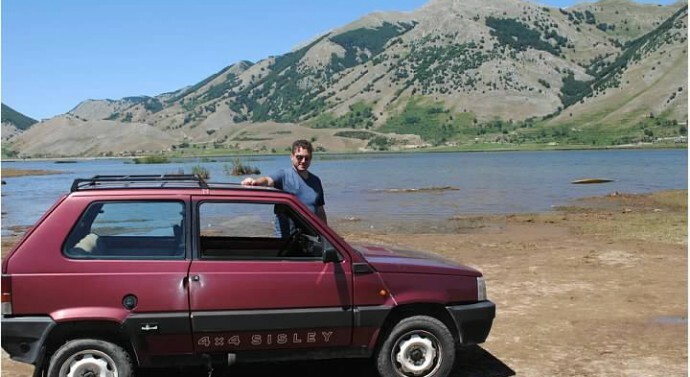 On a trip to Italy in 2011 we were exposed to our cousin’s old Panda. We joked and laughed about my cousin’s beloved little 4×4. He refereed to trips into the mountains with his favorite three individuals…Me, Myself and the Panda. He actually referred to the car as the ‘Pandone.’ The -one suffix in Italian results in the augmentative word form which expresses greater intensity, often in size but also in other attributes (example: martello (hammer) ~ martellone (big hammer)). 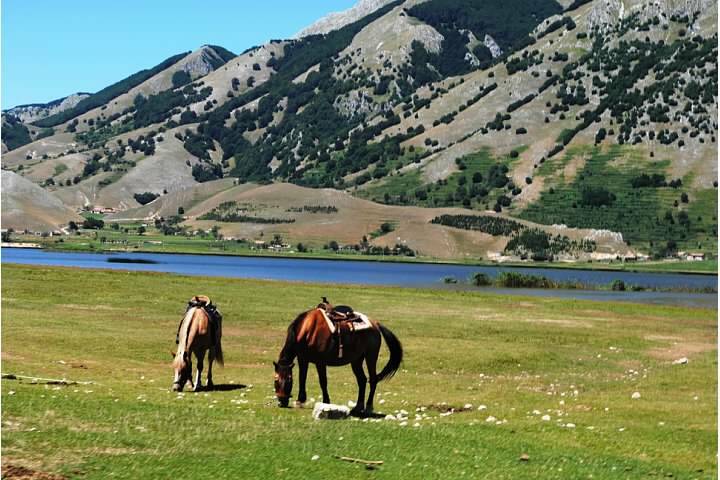 Towards the end of our trip we took the Panda (and a caravan of other cars full of family) to Parco regionale del Matese for a picnic. 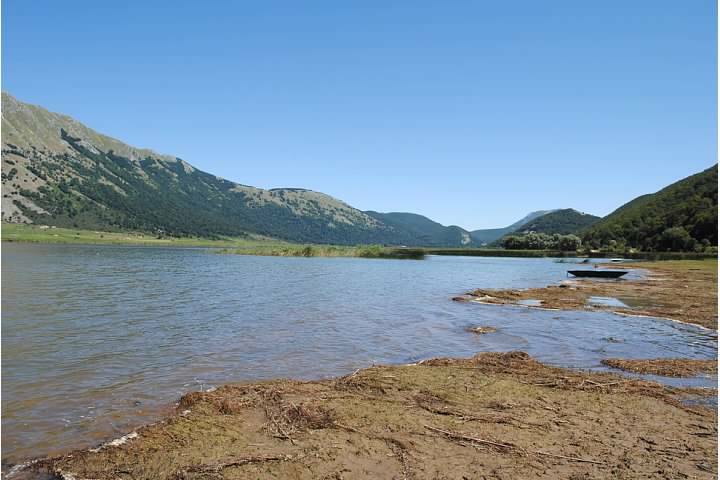 Matese is a beautiful mountainous area featuring a large lake (Lago Matese). During the family fun my cousin Dino took my brother and I on a little ‘expedition’ of the surrounding area in the Panda. 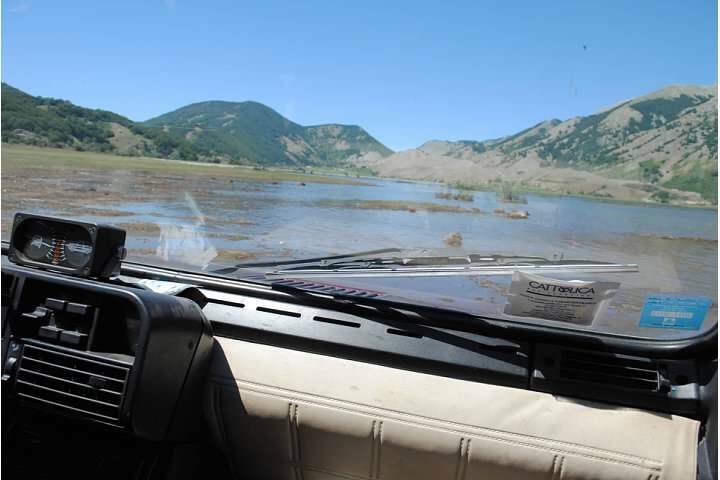 We had a blast as a family that day in those mountains with that little old car….probably contributing to the seemingly instant Panda nostalgia. Maybe my boys even took a turn driving the Panda. On subsequent trips the Panda became my brother’s go to loaner….in which he felt compelled to show the Panda some love by fixing/repainting some of the faded trim and getting new original replacement tires for it. I hope to see that old Panda again and soon.